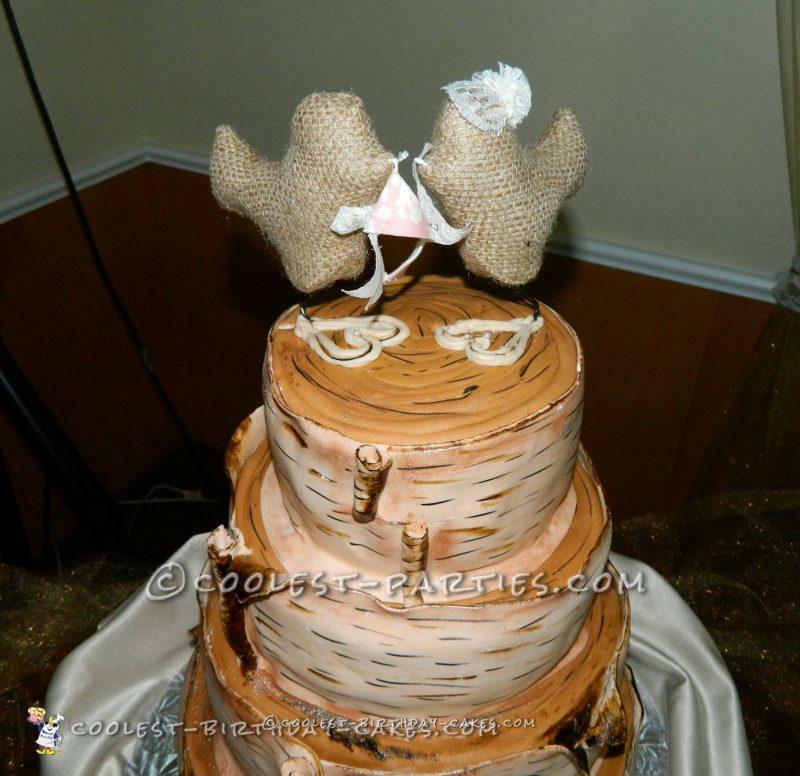 This birch bark wedding cake is one of my most favorite to date. I run a homebased cake business, so when I had a bride requeset this style cake I was a little nervous of pulling it off. But I was quick to find out that it would be an enjoyable task to create this cake. To build this beauty I wrapped each tier in ”birch colored” fondant, then I got a little crazy with my tools and made little rips and rolls in the fondant “bark”. Then to get the effects of the grains in the bark I took brown icing color and hand painted on each tier. The funny thing was this was a local wedding so I heard many comments about the cake. 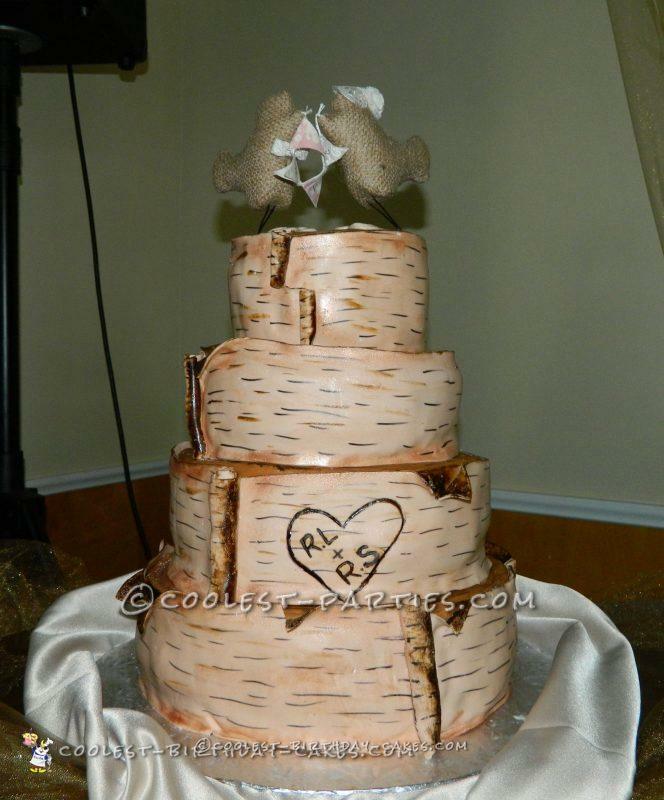 Some people thought it was a great added touch to the bride’s antique wedding to have real birch junks pilled up to look like a cake, but were quite fooled when they found it to be real cake. The groom’s mother even commented that she expected a chainsaw to come ripping out to cut the cake..but was glad to not only enjoy the viewing pleasure but able to eat the creation as well.